A Chillicothe man is in police custody for allegedly stealing an SUV from a pregnant woman, and later throwing a 68-year-old man to the ground in the Washington C.H. Frisch’s parking lot while in the process of stealing his car. Shaun A. Honesty, 37, was arrested by Washington C.H. 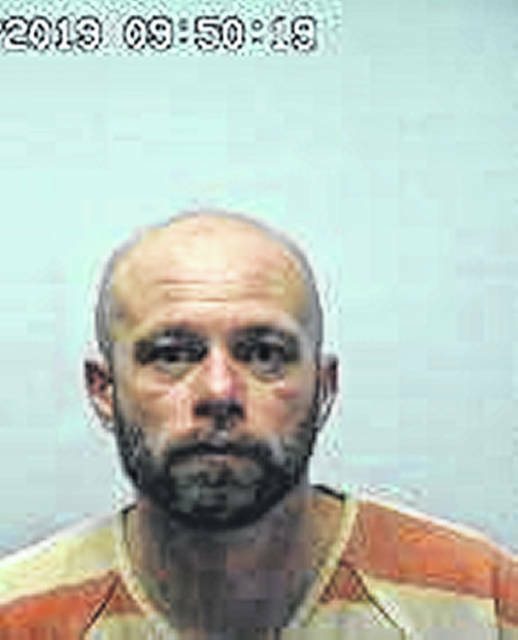 Police Department officers and is being held in the Fayette County Jail on charges of first-degree felony aggravated robbery, fourth-degree felony receiving stolen property, and fifth-degree felony attempted robbery. According to The Scioto Post, a pregnant woman was waiting on the porch of her Chillicothe home while her car warmed up when a man jumped into the car and drove off in it. Honesty drove to Washington C.H., and at 7:45 a.m. at Frisch’s, 1830 Columbus Ave., police officers arrived on the scene on a report of an active car jacking. According to police reports, officers found a 68-year-old man on the ground, and observed Honesty rapidly departing the area in a green Cadillac. Officers chased the Cadillac in their cruisers, and Honesty stopped the vehicle on Columbus Avenue near Duffy Drive. He was then removed from the vehicle by police and arrested. Following the incident, several witnesses at Frisch’s were interviewed by police. Officers were informed that Honesty pulled into the parking lot in a white SUV, got out of the vehicle and attempted to steal another vehicle by force. According to reports, Honesty went to the driver’s side of a vehicle parked in the lot and attempted to pull a 60-year-old woman out of the vehicle. The woman’s son, Roger Wood, ran to the scene and struck Honesty multiple times in order to stop him. Honesty then allegedly ran inside Frisch’s, came back out, ran up to the 68-year-old man’s vehicle and told him to get out of the vehicle. He then reportedly grabbed the man by the upper body and threw him to the ground. The man attempted to get up and pull Honesty out of the vehicle, but Honesty threw him to the ground again, according to reports. As he was leaving in the stolen vehicle, Honesty attempted to strike the 68-year-old with the vehicle, police said. After Honesty was arrested, the SUV registration was checked and it was discovered that it had been stolen from the Chillicothe woman. Honesty is scheduled to be arraigned this week in Washington Municipal Court on the felony charges.